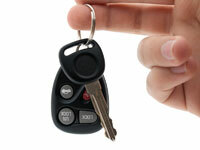 Lost or Stolen Car or House Keys? You come home with your arms full of groceries, feeling a little stressed because you’re running late. You reach into your pocket, then into your other pocket and your keys just aren’t there. Your heart skips a beat, and you put your groceries down to go through all of the pockets you have, and then your purse or briefcase. After a few minutes of frantic searching, you realize they’re just not there. You’ve lost them. Your heart sinks, what do you do now? The family will be home soon, the kids will be hungry, and the poor dog needs to be taken out. What should you do? If you have had your house or car keys stolen or if you have lost them, at Emergency Locksmith Perth, we understand how hugely stressful this is. That is why we guarantee a prompt service following your call. Our professional local Perth Locksmiths cover all areas in Perth so if you are locked out of your house or have lost your car keys, then call us now. We our a leading 24 hour locksmith service provider in Perth covering all areas. There has recently also been a rise in the number of keys stolen directly from the owners’ properties, using simple but effective methods such as fishing through letterboxes with long hooks. Park your car away from your home or workplace until the locks have been changed. Use a steering wheel lock or wheel clamp until your locks have been changed. Call the police straight away and make notes of as much detail possible, as this will be needed for any insurance claim. Do not leave your new keys lying around the house, especially not in the same place, as thieves often strike twice. If your car keys have not been lost or stolen and you simply want ideas on how to reduce the risk of your car read our car key safety guide. Don’t keep your house and car keys on the same key ring, as this is makes your keys much more attractive to the thieves, and you will increase the risk of a home burglary. Don’t make a thief’s job easier by letting them kill two birds with one stone. Hide your spare keys in your home or at a trusted neighbor’s house. By leaving them beside your front door and within reach of your letterbox, you can make them easy to hook out. Leaving your keys under your doormat or a rock near your door is practically asking for trouble, as this hiding place is the oldest one in the book and the first one any burglar will check. Keep your purse or briefcase safe. Never leave your bag unattended, whether you are out, at work or at a party at someone’s house, you never really know who might be watching, or when or where a thief could strike. Have no fear if you’ve had you keys stolen or if you lost them. Call us right away anytime and anywhere and we’ll help you in any way we can.